- also we sell our Ex Hire Equipment at a reduced price. AT IT Extreme Ultra bright twin 3W LEDs. LED type: 2x 3W (chip-on-board). Light up any area with this easy to use, battery powered switch light. As it is battery powered, you can use this handy, ultra bright switch anywhere. On stage for DJ or Performer for handy illumination inside a booth or box, as a wall mount or attached to any magnetic surface. Great for storage rooms or as a night light, garages, lofts, sheds, cupboards and placed under cabinets. Takes 3 AAA batteries (not supplied) and being LED it lasts a heck of a long time! Ultra bright twin 3W LEDs. Rear keyhole or magnetised mounting. Ideal for anywhere without mains power. A handy battery powered LED light with adjustable cord that can be hung and used anywhere a light is required. Just pull against the cord to turn on and off. Ideal for places without a mains supply where lighting is needed such as backstage preparations, pop-up events, under stands, in garages, sheds, lofts, tents etc. Our Starcloths come with a quality carry bag, Infra-red remote Control and even some reusable cable ties! These starcloths are made from high quality, low reflective material and can quickly be mounted onto a goalpost or DJ stand using the provided reusable cable ties, making them ideal for mobile DJs and stage use. The starcloths are operated by the included wireless IR remote control, which can be used to change settings and brightness. This 192 channel DMX controller has a joystick which can be programmed to control certain channels. This is then an ideal tool to fine tune the pan and tilt movements on a moving head or scanner. It comes complete with an LED gooseneck light that can be plugged in to the rear and help in dark environments. The unit itself has 12 scanner buttons, each controls up to 16 channels on each fixture, whilst the 30 programmable bank buttons hold 8 scenes each. These scenes can be programmed into 6 chase sequences each holding up to 240 scenes which can be triggered by sound, manually by tap or automatically by the time faders between 0.1 seconds and 10 minutes. 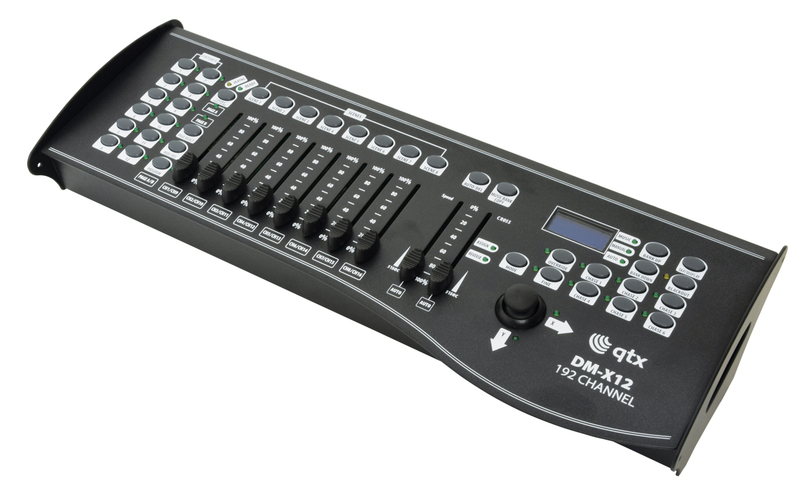 This controller is ideal for small theatres or stage applications. CHAUVET GOBO ZOOM LED-2 Lots of Gobos provided, plus create your own with transparencies! The Stagg City Firefly RGY Laser features a 40mW green laser and a 100mW red laser that produce spectacular, room-filling lighting effects. Perfect for live performance venues, the Firefly RGY laser is equipped with integrated auto and music operating modes, as well as a key switch. The Stagg Firefly RGY comes supplied with a tripod mount and a remote control. An incredible multicolour flame effect which uses a combination of RGB LEDs to change the colour of the flame. Reaching up to a height of 1.5m, the silk flame flutters in the air whilst lit up. It is auto and DMX controlled so you can adjust the mood of your party easily. It is low maintenance and quick to set up, making it perfect for event and hire companies or for use as a permanent fixture on a stage. Multi-section light bars fitted with high output 10mmØ LEDs. 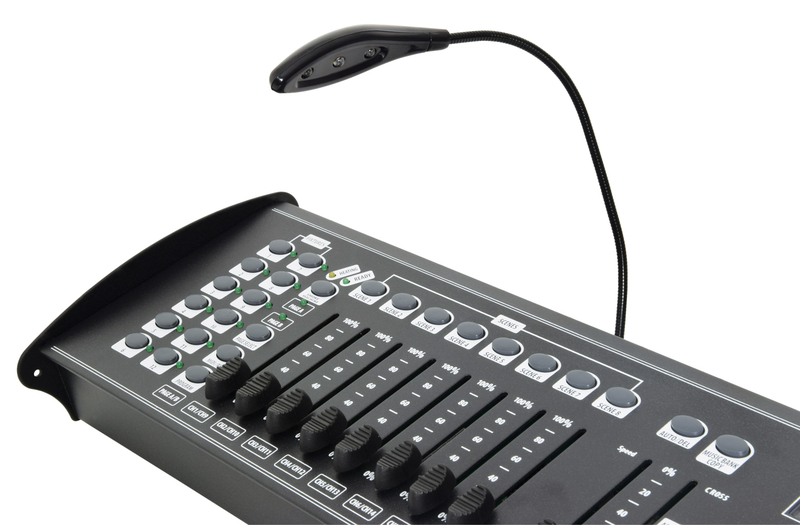 Full electronic dimming enables independent colour mixing and strobe effects for each section. Stand-alone operation offers static colours, sound-activated or auto internal programs with master/slave option. Several DMX modes are available with different level of control versus number of channels occupied. Designed to add active up-lighting to indoor walls and colourful detail to architecture. Specially formulated to give high quality performance for all makes of fog machines up to 900W. As a result leaving no residue from this non-toxic, water based fluid. Phone first - these may be in our storage facility and not in the retail shop Why buy special stands for your lights? If it's just a single light (eg par, spot or wash) or a single effect unit or laser, why not mount it on a standard speaker tripod stand? Pop in to view catalogues for what we can offer. A versatile 2-channel mixer with built-in DSP offering channel assignable effects and crossfader controlled 'in-mix' effects. Phono, line and USB inputs allow you to connect a large range of music sources to the twin channels. Each channel features a gain control, 3-band EQ with -35dB cut and can be independently assigned to the effects unit. LOTS OF CHOICE AVAILABLE, if you want Carlsbro / StudioMaster or HK Audio then CLICK, but there's more out there at lower costs too. Pop in for a chat! So let us help you get what you need - all part of the service!